The Czech Republic is a country in central Europe. Its capital and main city is Prague. 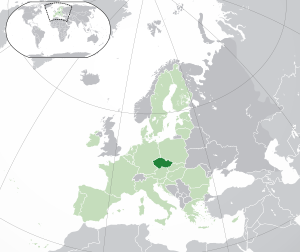 The Czech republic has been a member of the European Union since 2004. This page was last edited on 13 July 2016, at 01:35.